Filing for bankruptcy doesn’t have to be hard. When you turn to the Kainrath Law Firm, we’ll guide throughout the entire process. Bankruptcy attorney, Scott Kainrath, can provide debt relief under both Chapter 7 and Chapter 13 of the bankruptcy code. 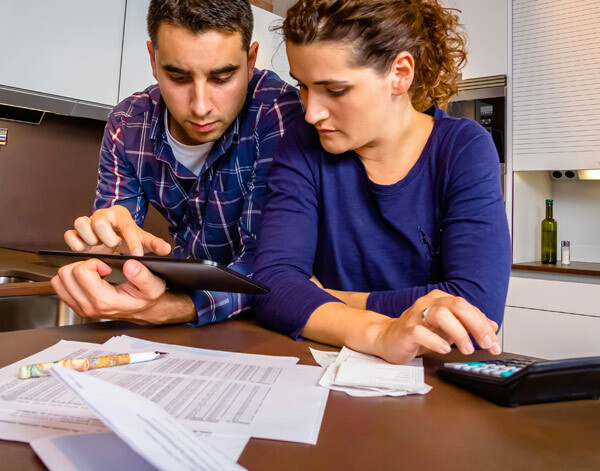 We can help you determine which options are available and lead you through the process of financial recovery. Work with our law office today to identify the best bankruptcy options for you. We can also help you with your family law case. With Chapter 7 bankruptcy, you may be able to wipe your debts clean. However, this depends on certain criteria such as income, household size, and prior bankruptcy filings. Certain debts, such as child support and some taxes and student loans, may not be discharged in the bankruptcy. Chapter 13 bankruptcy gives you the option to repay some or all of your debts over a three- to five-year period. There are less criteria for filing Chapter 13 than Chapter 7. Chapter 13 bankruptcy allows you to repay your taxes, and catch up on your home or vehicle payments, child support, and other debts. There are various benefits to filing for bankruptcy in Indianapolis, Indiana. After you file, certain lawsuits, garnishments, and home foreclosures will stop. Plus, you won’t receive harassing phone calls from collection agencies. After you’ve had your initial consultation with us, you’ll then have to complete credit counseling. This can be done over the phone or via Internet. The course is designed to help you learn the basics of developing a budget and bankruptcy plan. The next step is developing a bankruptcy petition. This petition will be created from information gathered during your consultation. Once complete, you will review and sign the petition. You will be allowed to review your petition before starting the next step, completing the actual filing. Our attorney will file your petition and assign your case to a bankruptcy trustee. For clients who file for Chapter 13 bankruptcy, you’ll then begin paying your monthly payments. Your first payment will need to be submitted 30 days after your filing. Next, you’ll be required to attend a brief meeting with your trustee and any creditors who choose to attend. This meeting is done approximately 45 days after filing. The last step of the bankruptcy process is to complete a consumer debt education class. For Chapter 7 filers, all of your dischargeable debt will be discharged within 90 days of completing the class. For Chapter 13 filers, you must complete the class prior to bankruptcy plan completion (three or five years).